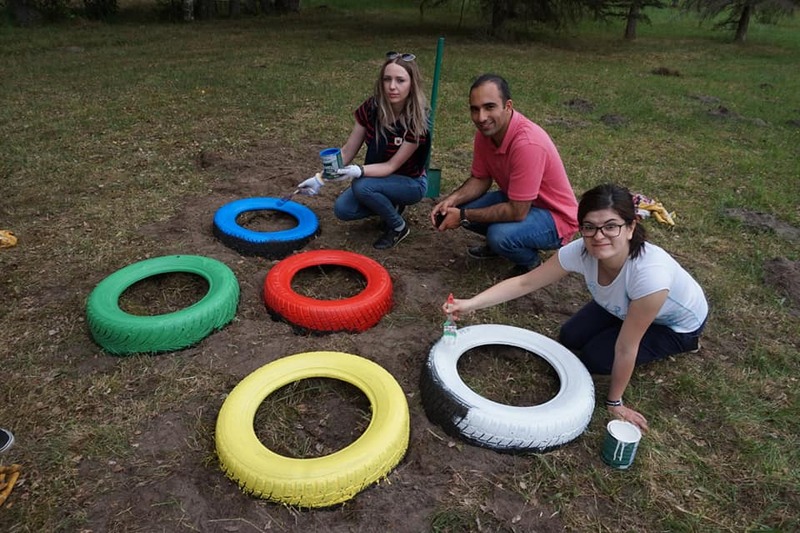 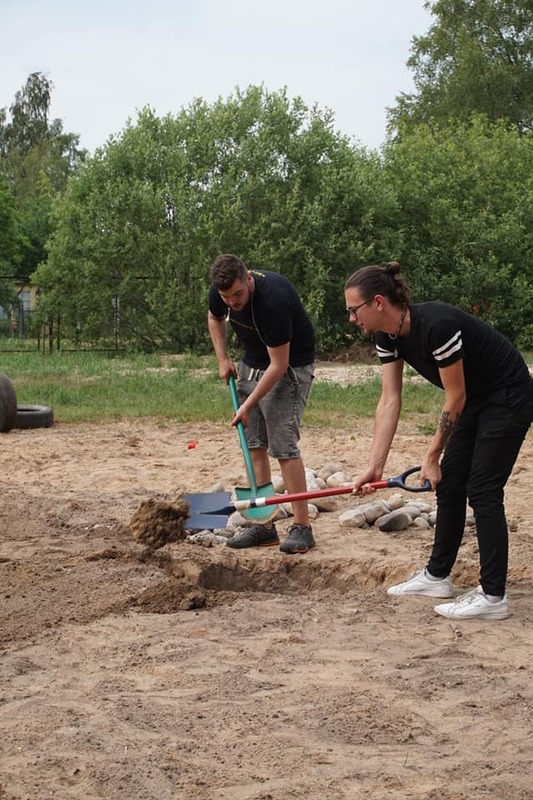 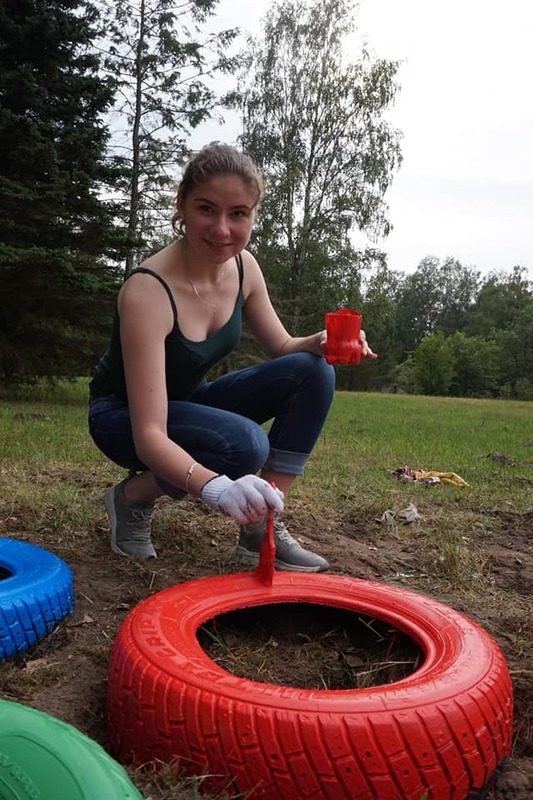 During the 1st phase of project “Action in ECO Direction” we together created amazing playground for children with fireplace and flowers in Kesterciems, Latvia. 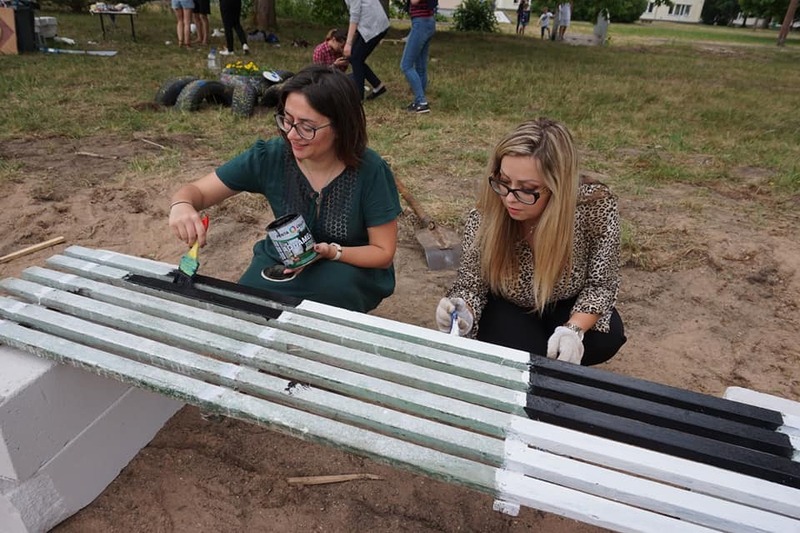 Playground was created from natural and re-used materials, designs was created by participants of the project themselves. 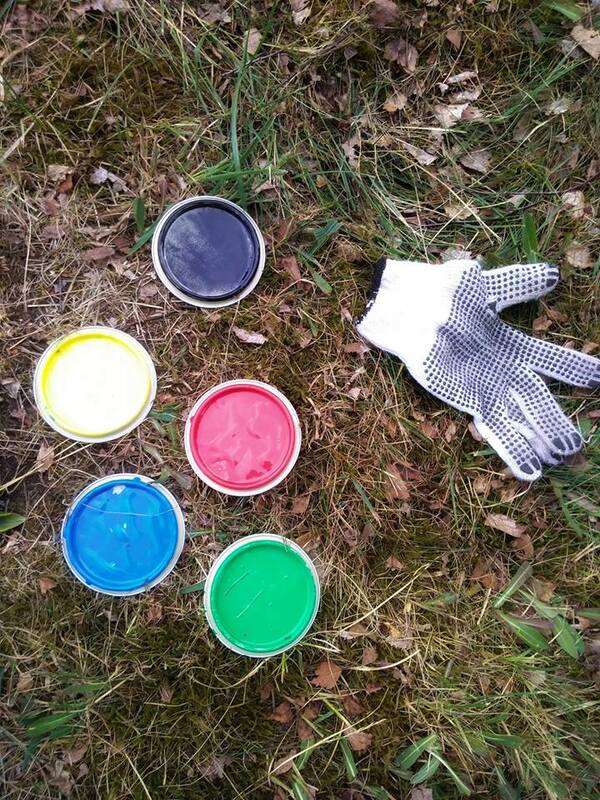 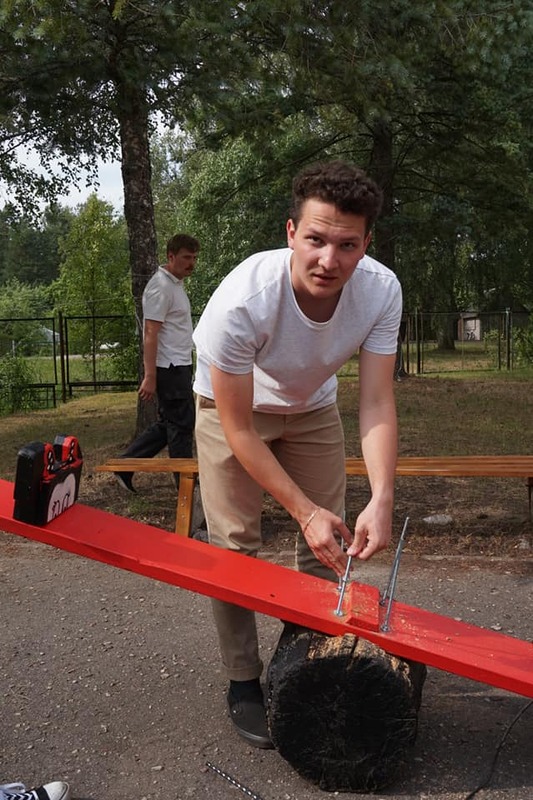 All our 42 participants helped to build and paint parts of the playground. 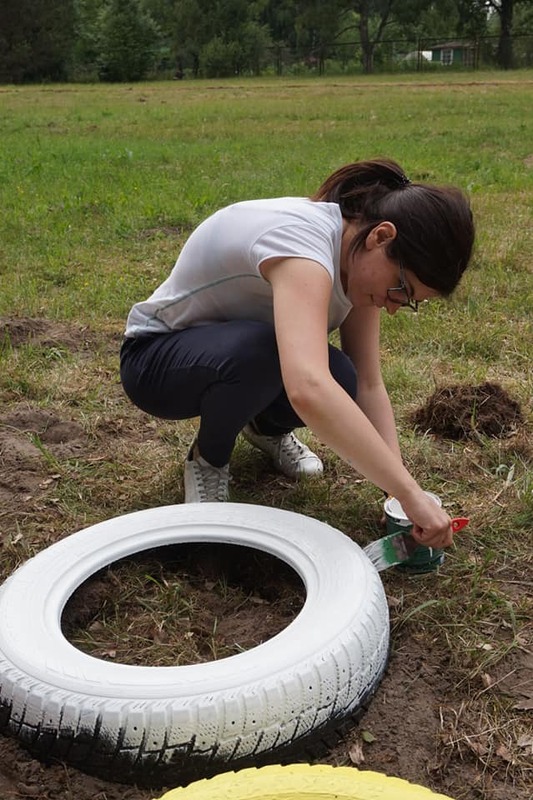 We had used old car tyres, parts of old benches, stones, broken tables and so on. 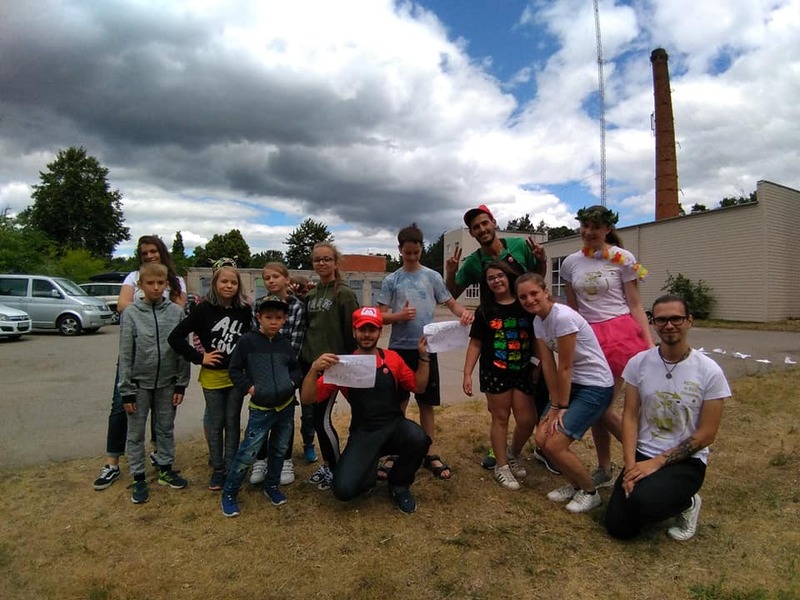 After the playground was finished, we created an interactive performance for local children with eco-games, promoting eco-friendly behavior. 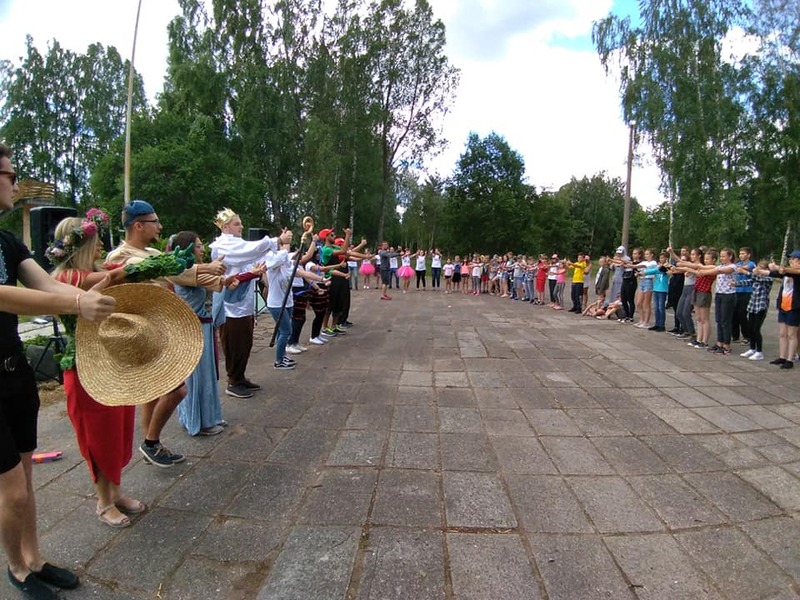 Participants of the project – 42 young people 18-25 y.o. 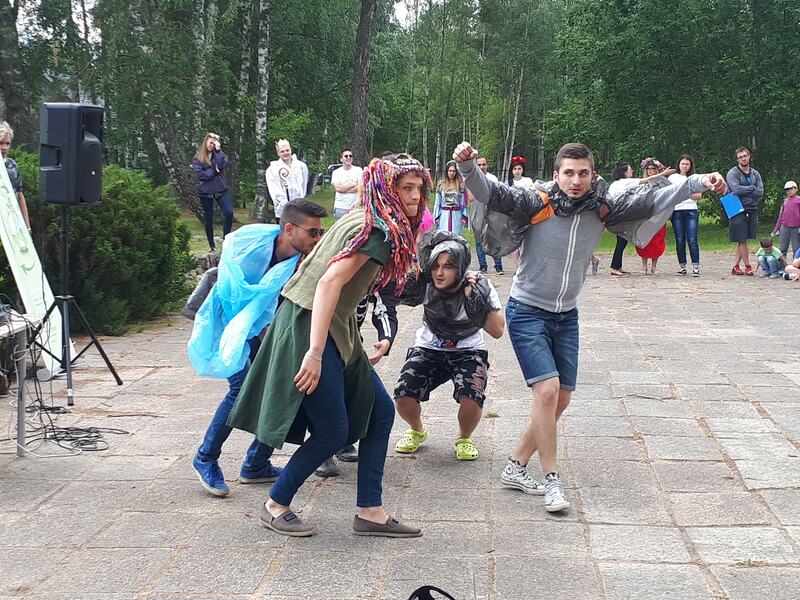 from Armenia, Moldova, Italy, Ukraine, Czech Republic and Latvia. 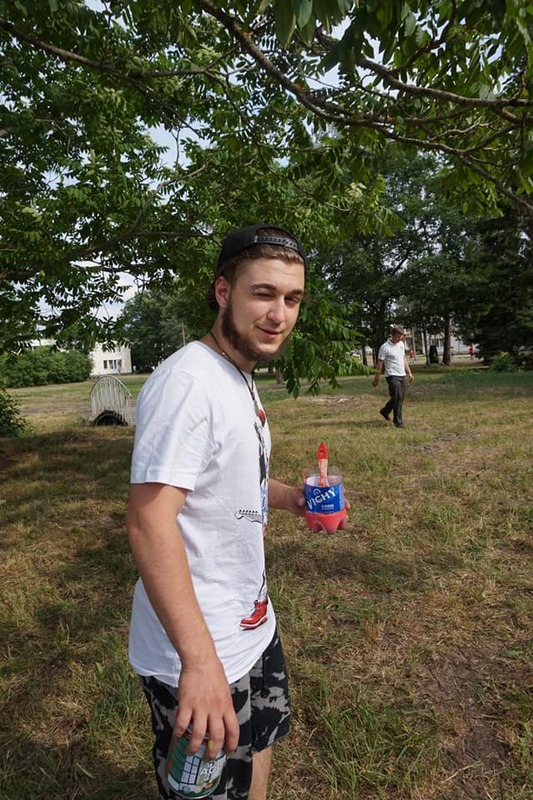 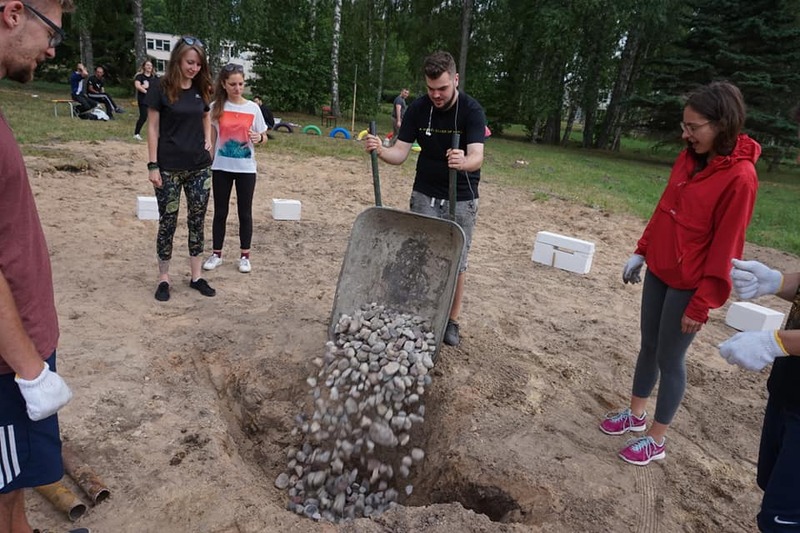 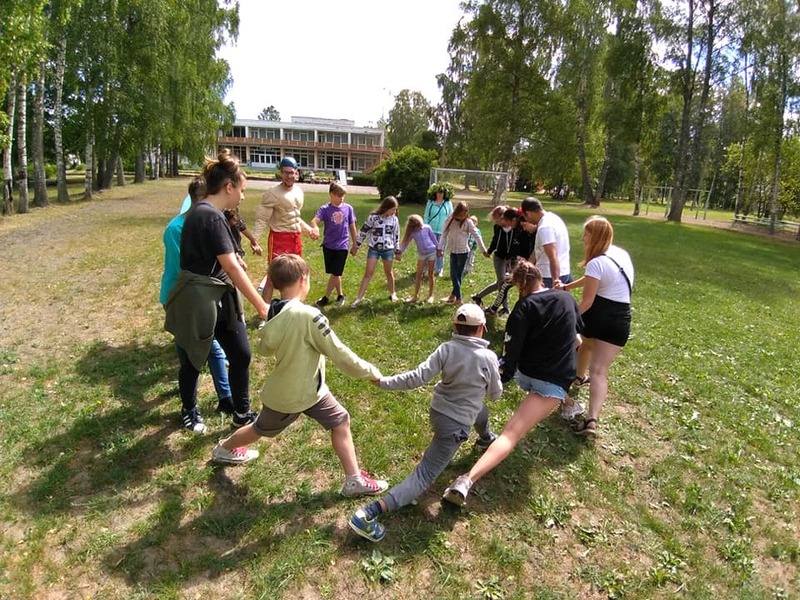 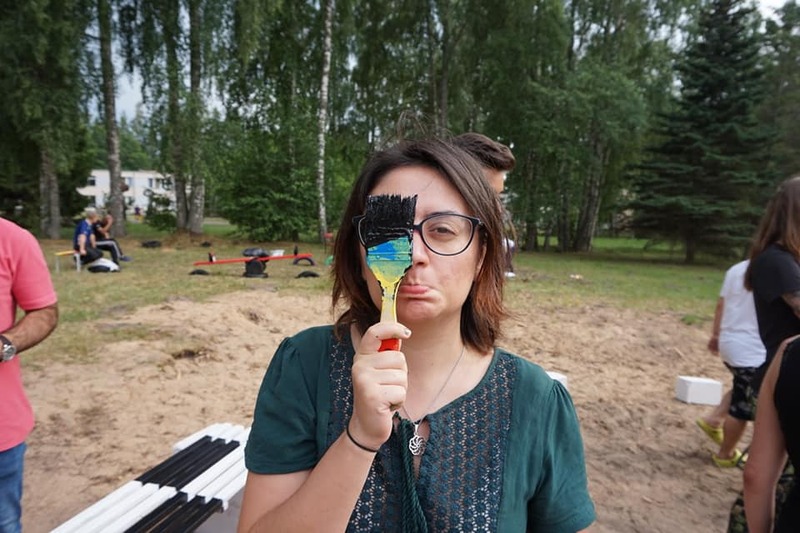 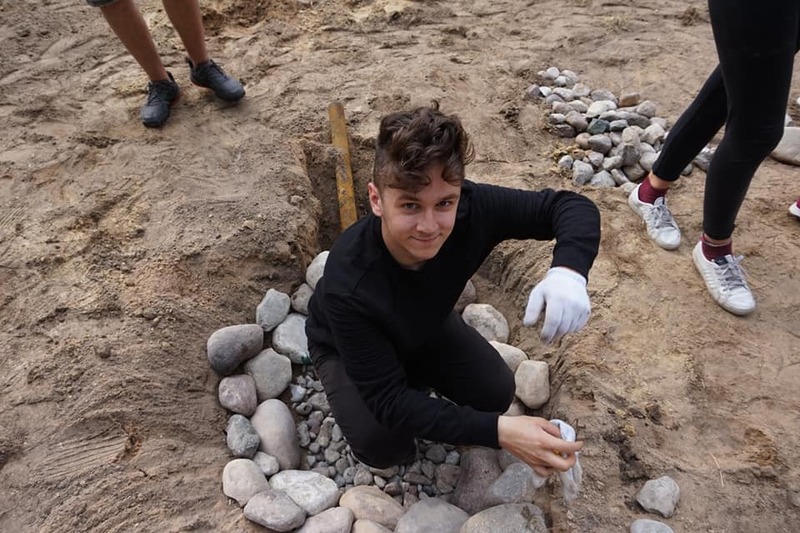 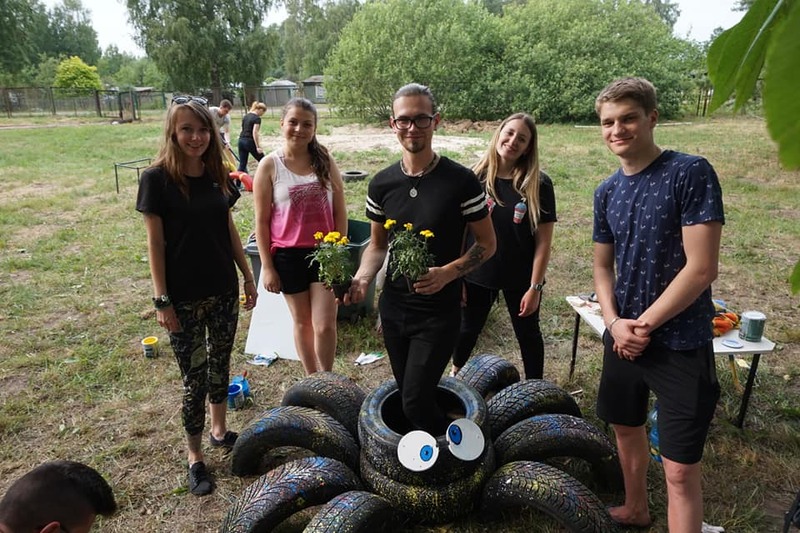 A project “Action in ECO Direction”was applyed by Culture Assotiation “Alternate Reality”(Latvia) and approved by Agency for International Programs for Youth of the Republic of Latvia, and supported by Erasmus+ programme.